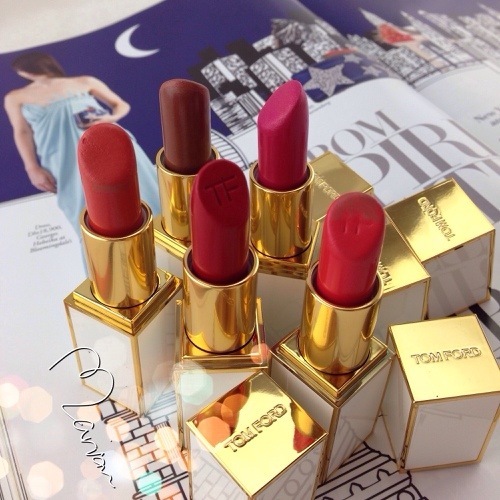 Those are my lipsticks from Tom Ford Private Blend Lip Colors. I got some of them around 3 years ago when they first launched in Europe, i remember i bought them from a perfume boutique at Vienna, then they were launched at Harvey Nichols-Dubai and got the rest that i wanted. The packaging is really classy and beautiful, the lipstick is a bit expensive comparing to others but they are so worth it. All if the colors are highly pigmented, creamy and opaque, they are moisturizing and long lasting. 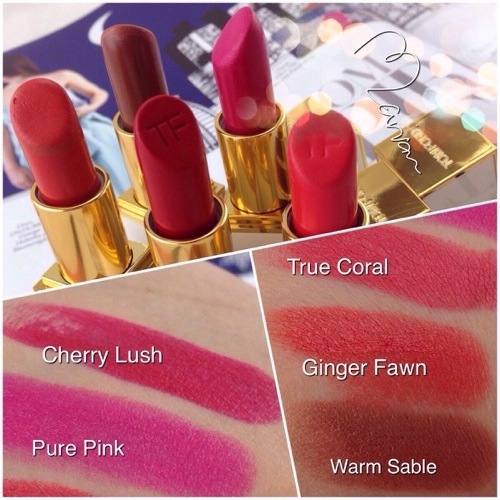 Check out the swatches of the 5 lipsticks that i got. Honestly i don’t know if those are available right now because Tom Ford later launched a whole makeup line with different color packaging and a new line of lipsticks.